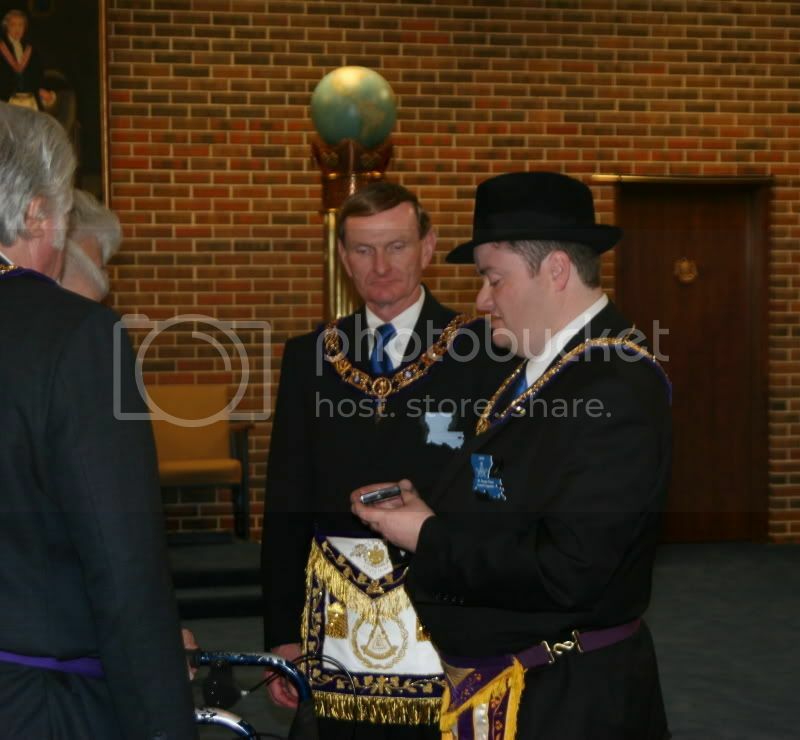 On Monday March 9, 2009 at Eastern Star Lodge No. 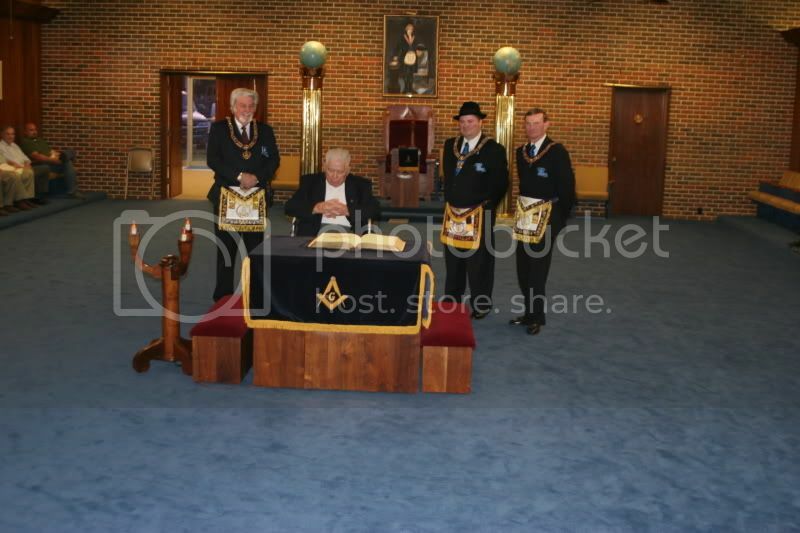 151 F&AM in Winnfield, Louisiana it was my priviledge as Worshipful Master with the assistance of Most Worshipful, Bro. Lloyd Hennigan, Past Grand Master and Right Worshiful Woody D. Bilyeu Deputy Grand Master to present Most Worshipful, Bro. Eugene F. Love, Past Grand Master of Masons in the State of Louisiana in the year of 1989 and past master of Eastern Star Lodge No. 151 the Fidelity Award. 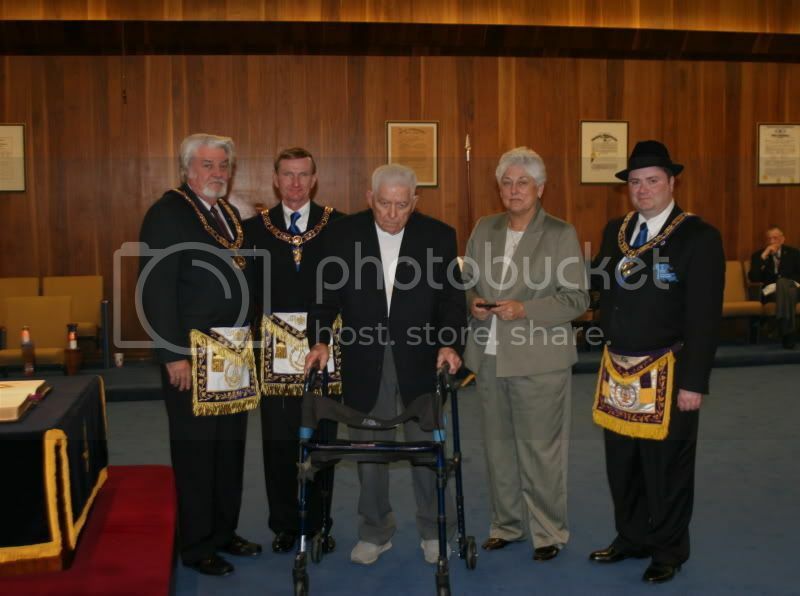 The Fidelity Award is presented to the oldest living master mason of the lodge. Most Worshiful Bro. Love is 90 years of age. He taught Agriculture in his early years and then later became Principal of Winnfield Sr. High School and also served as Superintendent of Winn Parish Schools. Great story.. ! thanks for the pictures.. ! seems like the award was well deserved.. ! Just paying the craft their DUE wages. Thanks for sharing. Side note: I noticed the columns are placed differently in LA. Great photos thank you for sharing. Thank you Brother for sharing this idea. I am going to advise my own WM regarding this. I see that it could be an award from either a lodge or a Grand Lodge. Mr. Eugene Franklin Love, age 90 of Winnfield, Louisiana passed away on Tuesday, April 20, 2010, at the Winn Parish Medical Center. Born Saturday, October 18, 1919 in Linville, Louisiana, he was the son of the late Benjamin Franklin Love and the late Katie Lou Johnson Love. He was also preceded in death by his wife, Dhale Malone Love, brothers, Percy Love, Charles Love and Eddie Love, and sister, Emily Powell. Mr. Love was a member of Trinity Baptist Church in Winnfield, and a U.S. Air Force Veteran of World War II. Mr. Love graduated from Linville High School in 1937. He was a graduate of Louisiana State University where he received his Bachelor of Science in 1947 and a Master of Science in 1951 and his Masters plus 30 in 1952. Mr. Love taught agriculture at Winnfield Senior High School from 1947 until 1951. He was superintendent of Winn Parish Schools from 1953 until 1954. Mr. Love served as principal of Winnfield Senior High School from 1951 to 1952, and again from 1955 until 1963. He was principal of Winnfield Junior High School from 1964 until 1973. Mr. Love was a supervisor of secondary education for the Louisiana Department of Education from 1975 to 1976. He was Past Master of Eastern Star Lodge #151 F & AM in 1963, and Past Grand Master of The Grand Lodge of Louisiana F & AM in 1989. Mr. Love joined the Scottish Rite in Shreveport, Louisiana in 1960 and affiliated with the Monroe Scottish Rite Bodies in 1970 when they were under dispensation. He served as commander of Monroe Council of Kadosh in 1974; Master of Kadosh of the Monroe Consistory in 1986; Venerable Master of the Lodge of Perfection in 1994. 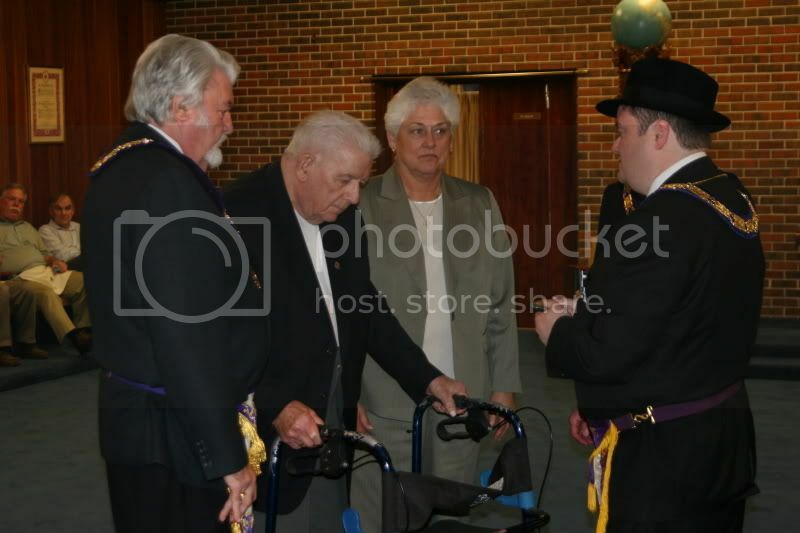 Mr. Love was invested with the Knight's Commander Court of Honor in 1969 and was Coroneted a 33rd degree in 1979. 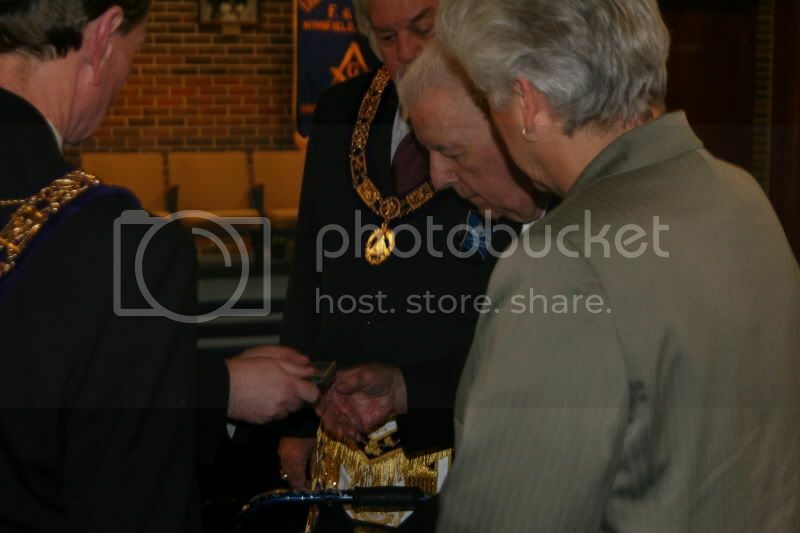 He was also a member and Past Patron of Palestine Chapter #55 Order of the Eastern Star in Winnfield, Louisiana. Surviving are daughters, Dr. Donna Love Wright of Ashland, OR and Dr. Phyllis Ann Love of Ruston, LA, brother, Don Love of West Monroe, LA; 2 grandchildren, Craig Wright and Toni Wright; 2 great grand children, Vincent Wright and Silas Wright. A Funeral service will be at 1:30 PM on Sunday, April 25, 2010 at First Baptist Church of Winnfield. Masonic Rites will be conducted by the Grand Lodge of Louisiana at Antioch Baptist Church of Farmerville, LA at 4:30 PM on Sunday. Interment will follow in the church cemetery under the direction of Southern Funeral Home of Winnfield. The family will receive friends from 4:00 PM to 8:00 PM on Saturday, April 24, 2010, and on Sunday from noon until 1:00 PM at Southern Funeral Home in Winnfield, Louisiana.